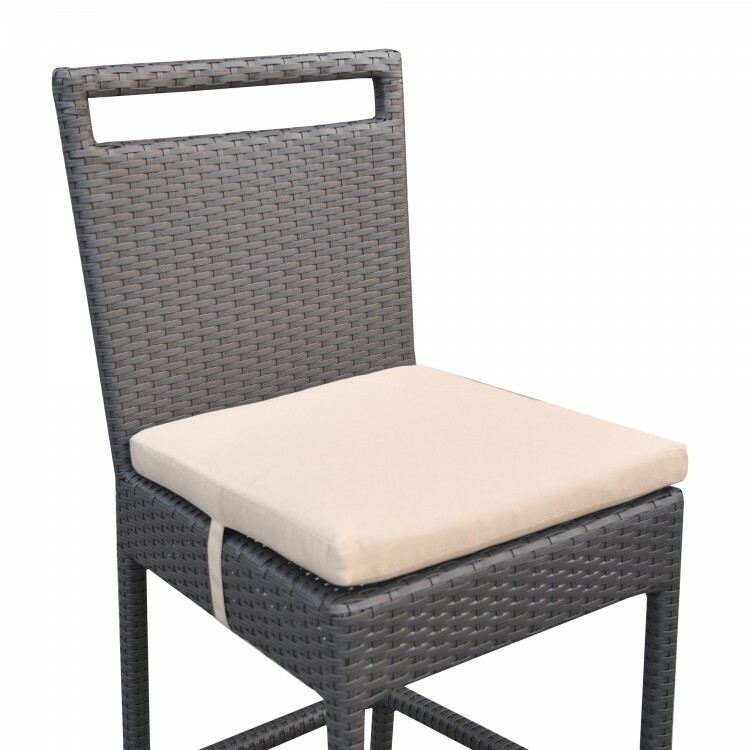 The Armen Living Tropez contemporary outdoor wicker bar set is a great purchase for anyone looking to enhance the comfort and style of their modern household patio. 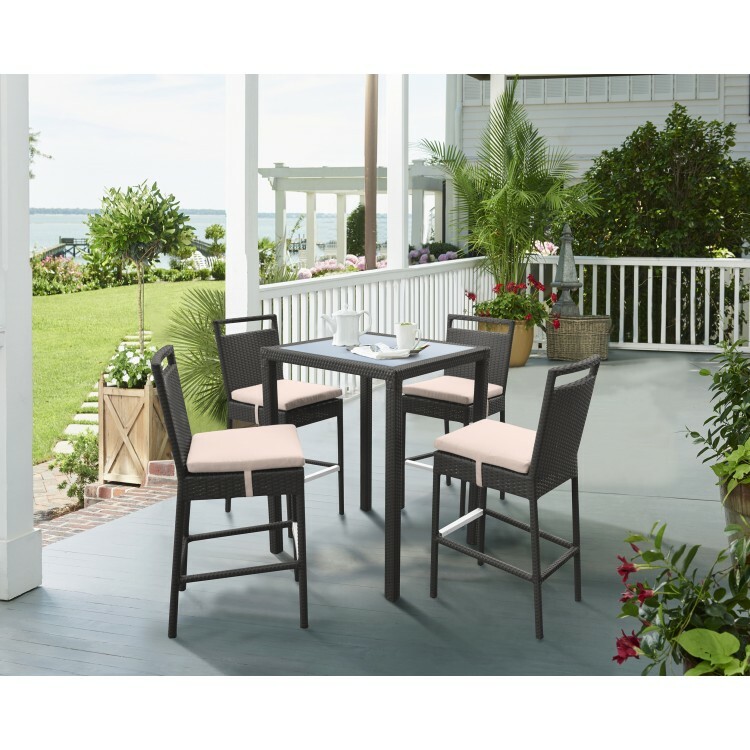 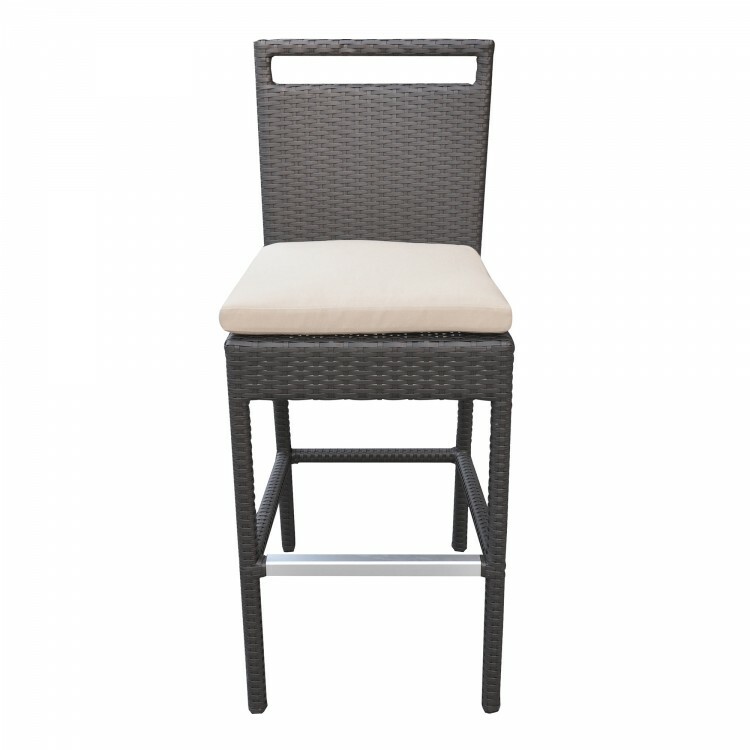 The Tropez set comes with 2 high back barstools and 1 rectangular four leg bar table. 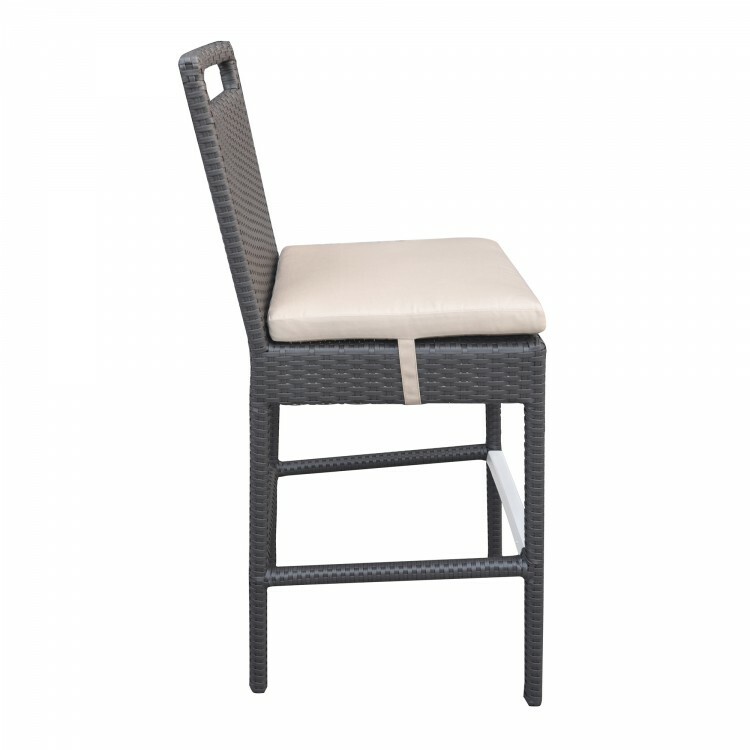 The Tropez stools feature a durable, yet lightweight aluminum design and waterproof HDPE wicker cover, assuring easy arrangement without compromising on quality. 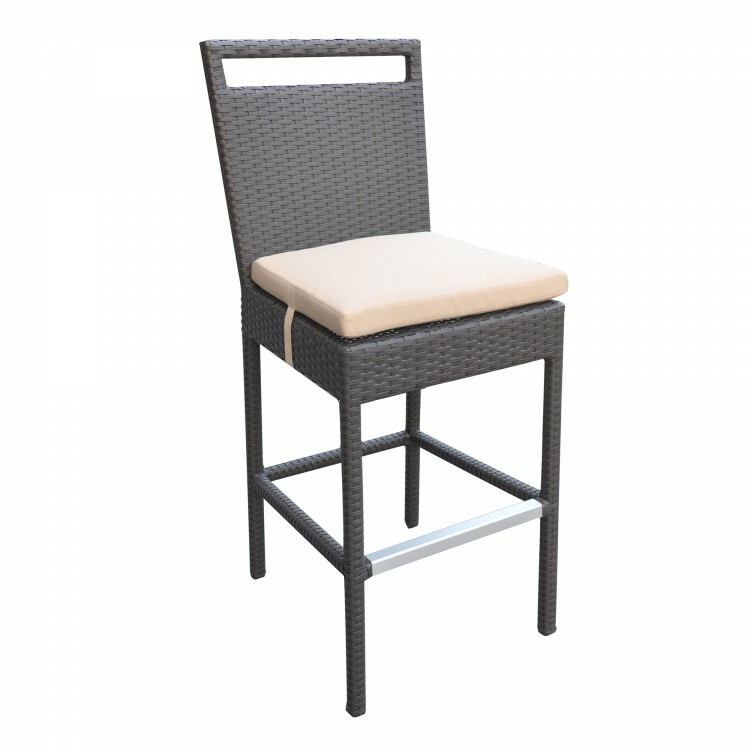 The barstools include plush foam padded and fabric upholstered detachable cushions. 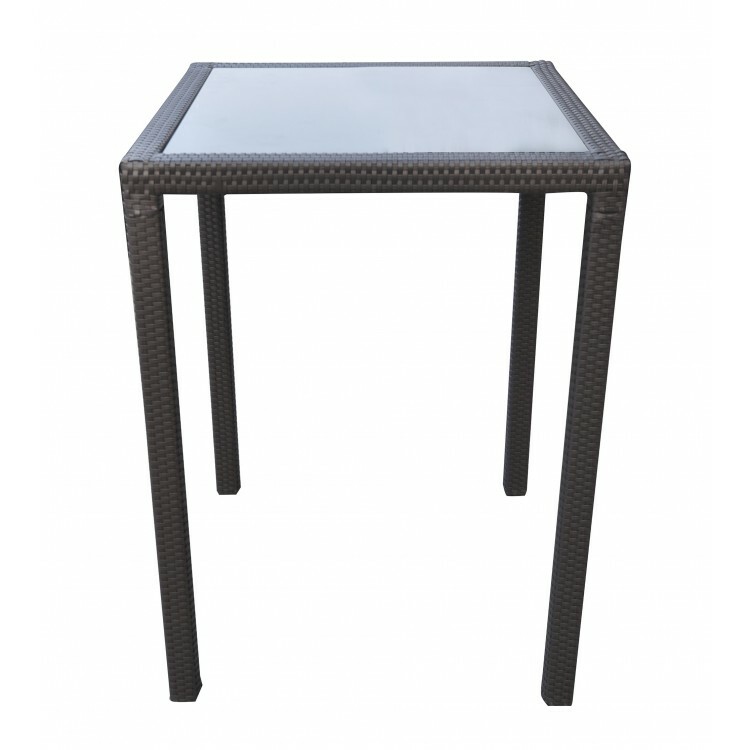 The Tropez table is made of the same quality aluminum and HDPE wicker material, and includes a stylish glass top, ideal for snack trays and drinks. 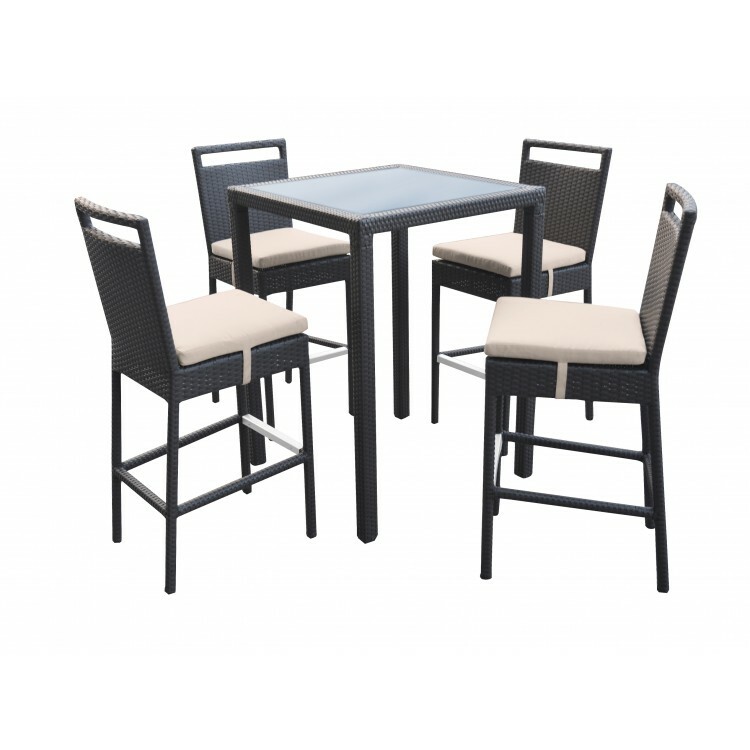 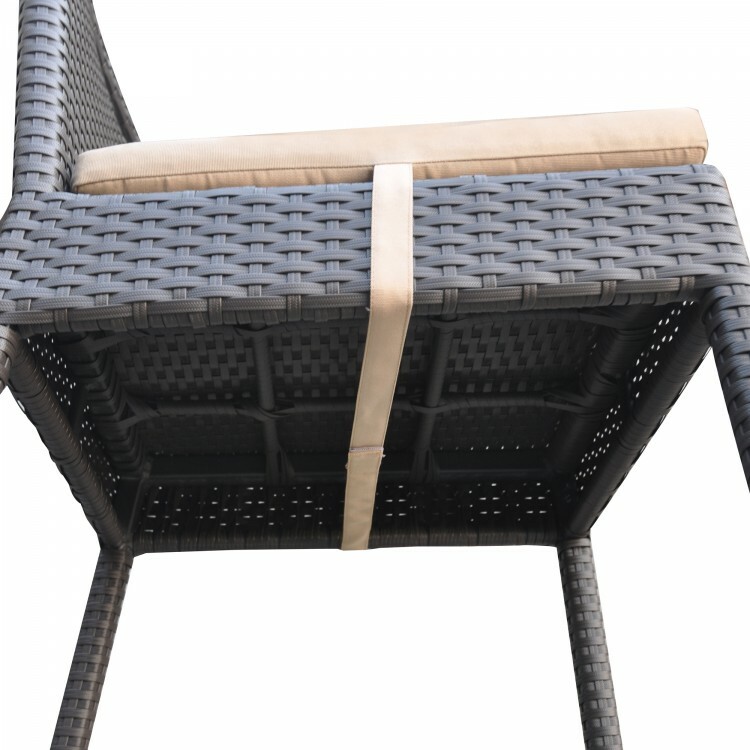 The Tropez patio set is available in a black powder coated finish and comes with beige seat cushions.